The field of immunology is important to continue to research and study. 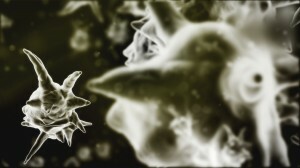 The ability of some harmful microorganisms to be casually transmitted from one person to the next either by air or physical contact is a potentially dangerous situation. Immunologists also study immune systems diseases caused from within the body. Currently common ailments like hepatitis, influenza and lupus provide immunologists plenty of material to study in infectious disease clinical trials. The development of vaccines is another aspect of immunology that lends itself to a wide variety of infectious disease clinical trials. If you have been diagnosed with an infectious disease you may qualify to participate in an infectious disease clinical trial. What is Immunology / Infectious Diseases? Immunology is a field of biomedical science that studies the immune system. It looks at the physiological functions, malfunctions, physical and chemical characteristics of infectious diseases. Infectious diseases are also known as communicable diseases and transmissible diseases. They occur when outside organisms like virus, fungi and bacteria, enter the body and cause illness. Infectious diseases can be transmitted from one person to another in several ways including by bodily fluids or physical contact. Common ailments immunologists might deal with include hepatitis, influenza, lupus, and vaccines. There are several disciplines of specialized immunology. These include clinical immunology which studies disease caused by the immune system and development immunology that study the immune system of infants as they develop into adults.